A Best Seller at Paizo! Freelance RPG Writer Pay Rates — Can I Pay More, and Will You Pay More? I Have a Publisher Superpower. Do You? 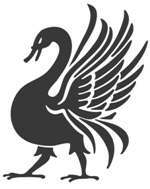 Is Raging Swan Press a Success? What’s Raging Swan’s Most Popular Line? What’s Up With Raging Swan Press’s Covers? Who Are Raging Swan’s Customers?